1. Four tons of glitter on the floor. 2. The night they sold nothing but fruit juice and soda. 3. Bianca Jagger riding around on a white horse. 4. Andy Warhol’s birthday party. 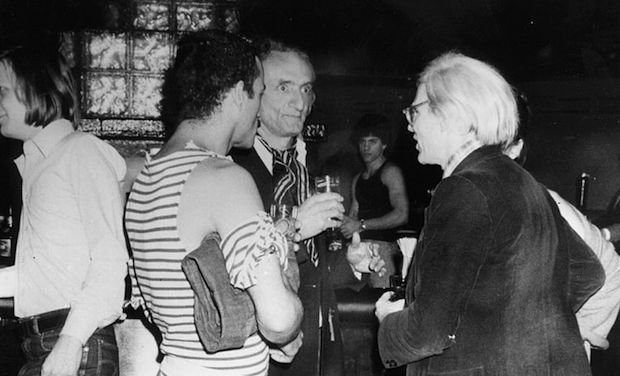 On August 6, 1979, Halston hosted another birthday bash at Studio 54—this one for Andy Warhol. He gifted Warhol with a pair of roller skates, while Rubell simply gave him a garbage pail stuffed with cash. When Rubell was jailed for tax evasion, Warhol gave Rubell his own money-themed gift: a brass sculpture with dollar signs cut out. 5. When fashion fell from the sky. The nightclub was known for dropping things from a net on the ceiling—often balloons, sometimes glitter. But on at least one occasion, the net contained gift boxes that held pricey goodies from various fashion houses. 6. The nights Disco Sally appeared. Mingling amongst the likes of Warhol, Halston, and Jagger was a 77-year old widow named Sally Lippman. 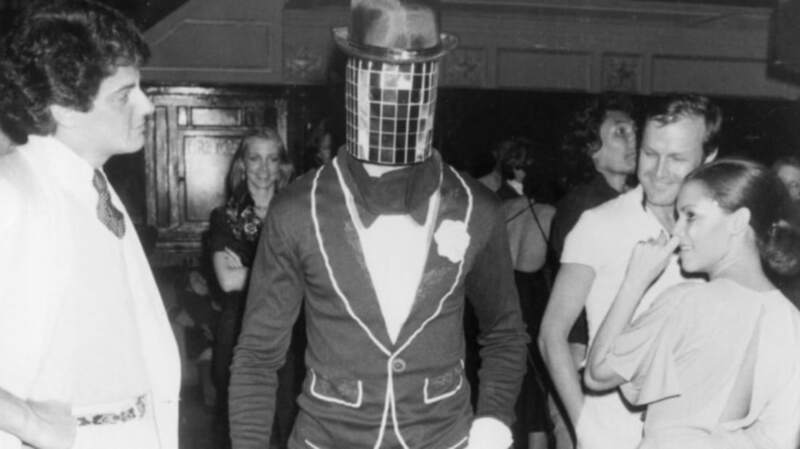 “Disco Sally” became a regular after one of her young friends told her that she should check out Studio 54 just once, to see it. She and her friend managed to get in, and Rubell was delighted to see her on the dance floor, telling her, “I like to see you here. Come anytime you like, and you’ll get in.” You didn’t have to tell Sally twice—after that, she became a fixture there most nights. “I didn’t dance for 50 years because my husband didn’t like it,” she said. Here she is in action, terrifying Lawrence Welk. 7. All of the Halloween parties. Giancarlo Giammetti decided to throw a circus birthday party for his partner, fashion designer Valentino, three days before his birthday. "We had a circus ring with sand, and mermaids on trapezes," Giammetti said. "Fellini gave us costumes from his film, The Clowns. Valentino was the ringmaster, and Marina Schiano came as a palm reader with a parrot on her shoulder.” Another infamous night at 54 was the evening Dolly Parton held an after-concert party there, complete with bales of hay and live farm animals. 9. When the game Simon premiered at the club. In 1978, Milton Bradley had a launch party for their new game, Simon. They must have realized that the trippy sequences of flashing lights would appeal to the disco set, because they had a four-foot model designed and hung it over the dance floor. 10. The raid that eventually closed the club. 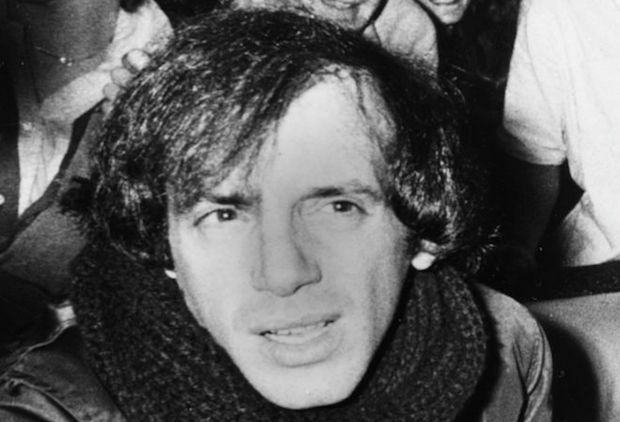 After Steve Rubell made a public statement that “only the Mafia does better” than Studio 54 when it came to money, the IRS took notice—the club had paid just $8000 in taxes in 1977. At a raid on December 14, 1978, feds found a reported $600,000 in garbage bags hidden in the building, in addition to 300 Quaalude pills and at least a few ounces of cocaine (reports varied on the actual amount). A few hours after the raid, people came to the club in droves, either to get the gossip or to support the owners. Before Rubell and Schrager were shipped off to prison to serve 13-month sentences, they were serenaded by Diana Ross and Liza Minnelli in front of a crowd that included Jack Nicholson, Sylvester Stallone, Gia Carangi, and Richard Gere, among others.